From packaging 4.0, to the latest flexographic print trends, from serialisation to evaluating the plastics alternatives flooding the local market. More than 20 industry leaders from the packaging, printing, and plastics industries will be sharing their insights into the latest developments and challenges in these industries over four days of free-to-attend seminars taking place during Propak Africa next month. An interesting discussion around Packaging 4.0 opens the seminar series and will look at the smart factory concept of networking and digitalisation of production. Presented by Dean Floyd, Area Sales Manager, Factory Automation, Sales Region Africa at Pepperl+Fuchs, this topic will explore the unique challenges and opportunities for packaging manufacturers in all sectors. Understanding how to create value to future proof your flexographic print business, will be the topic presented by Adriaan Cronje, Technical Packaging Specialist at National Kemtek Imaging Systems. Romulo Leon, Head of Global Sales and Market Management at Mettler-Toledo in Germany will ask the question: “Are you on track for serialisation?” and will explore the holistic approach of serialisation and track & trace. Concerns around many of the so-called "plastic alternatives" that are flooding the market without being properly evaluated will be discussed by Plastics SA’s Executive Director Anton Hanekom. He will explore various options and talk about how Plastics SA is facilitating this process. Another interesting topic is waste reduction vs. waste disposal and the benefits of establishing an optimised waste management programme will be discussed by presenter Bertie Lourens, CEO of Waste Plan. Other speakers sharing at the seminars include: Steve Thobela, CEO of Printing SA, Kishan Singh, National Educational Officer at the Institute of Packaging SA (IPSA), Bhekithemba Dlamini, Deputy Director, Agro Processing Department of Trade and Industry (DTI), and Coillard Ford, Provincial Manager: Gauteng North, Nedbank Business Banking, amongst many others. “We are really excited to introduce the new free-to-attend seminars at Propak Africa this year,” says Event Director Sven Smit. “The seminars will provide an additional platform where latest industry trends can be shared and important industry issues addressed,” says Smit. 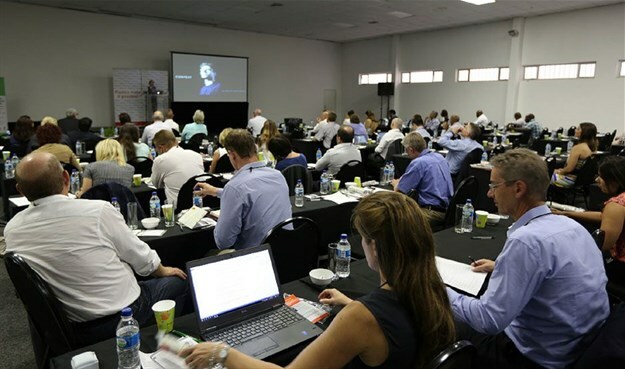 In addition to the seminars, The Institute of Packaging SA Think Tank will run four important workshops on 12 and 13 March, focusing on pertinent topics facing the packaging industry at present. Topics include: government legislation affecting the packaging environment; different types of plastics for rigid and flexible packaging and the Lean Six Sigma approach to quality management. Spearheaded by the South African Plastics Recycling Organisation (SAPRO) and the Word-Wide Fund for Nature (WWF-SA), the South African Design for Recycling Indaba will take place on 13 March. Also taking place on 13 March is a Printing SA and South African Institute of Printing (SAIP) Conference. VDS Media’s Propak Africa Packaging Innovation and Sustainability Conference will take place on 14 March. Propak Africa, together with co-located shows The GAPP Print Expo, Pro-Plas Expo, FoodPro and Pro-Label Africa, will be taking place from 12-15 March 2019 at the Expo Centre, Nasrec in Johannesburg. For further information and online visitor registration, go to www.propakafrica.co.za.